George Fan has tweeted a message confirming he was let go from EA, and that he was against making a “freemium” game. With all the ruckus over microtransactions, loot boxes and the like, one company has been the punching bag of gamers more than anyone else, and that’s EA. It seems we can add one more story to add to the list. Over on YouTube podcast BaerTaffy (via Reddit), Round Table Live! featured video game designer Edmund McMillen (Super Meat Boy, The Binding of Isaac) who talked a bit about the recent controversy surrounding a recent game and alleged pay-to-win trappings. 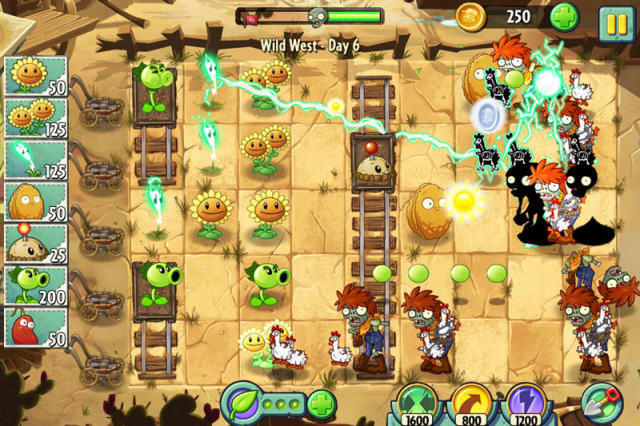 While talking about the recent hot button topic, McMillen namedropped Plants vs. Zombies creator George Fan, and how he (Fan) was fired for refusing to add pay-to-win elements in Plants vs. Zombies 2. We’ve transcribed what McMillen shared below. It involves a friend of mine, George Fan. So George made a game called “Insaniquarium.” He made it ages ago and it won a lot of awards, and he got headhunted by PopCap. And PopCap hired him, set him off with two more people in a small office, and said, “hey, make the game” and he’s like “okay I’m going to make Plants vs. Zombies.” And he made Plants vs. Zombies, it was hugely successful, and they got acquired by EA, EA made that game even more successful. And they were like, “okay, we’re going to focus on this and we’re going to make a sequel, we’re going to do spinoffs, this and this.” And George was like, “great! I’ve got an idea for a sequel!” And he developed this game independently as well, with an independent mindset with a small team of people. It was personal. Knowing the guy, I can see the characters are personal, every little bit and pieces is something from him. So it was his baby. And they’re like “hey, y’know, let’s make this sequel, start on the sequel, and we’re going to put it on mobile, and we’re going to do this pay-to-win.” And he’s like, “ah, I dunno, it’s not a good idea, and I don’t really want to do that with my game, and they said, “you’re fired.” And he left. You can watch McMillen tell the tale in the video below. It’s around the 40:55 mark. Important to note: Fan being fired from PopCap (who was then already acquired by EA) is nothing new, since it was reported way back in 2012, though the actual reason for Fan’s termination has never been revealed until now. Does it surprise you that the industry seemed to have this problem even as far back then? Share your thoughts below in the comments.